Since its publication a decade ago, Let the Nations Be Glad! has provided thousands of seminary students, missionaries, and pastors with a sound theological foundation for missions. 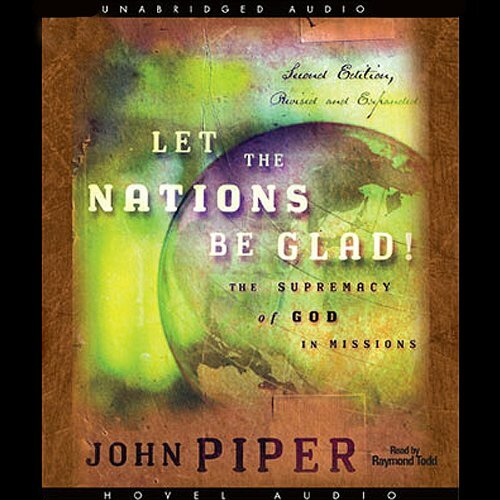 Piper now offers a revised and expanded edition of this theological and biblical defense of God's supremacy in all things. Piper explains who this book is for: "This book is not just for missionaries. 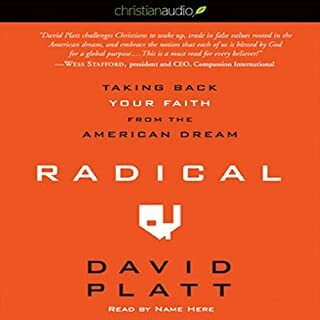 It is for pastors who (like me) want to connect their fragile, momentary local labors to God's invincible, eternal, global purposes. It's for lay people who want a bigger motivation for being world Christians than they get from statistics. 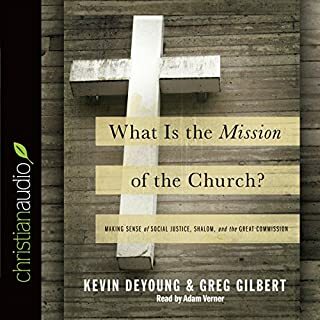 It's for college and seminary classes on the theology of missions that really want to be theological as well as anthropological, methodological, and technological. 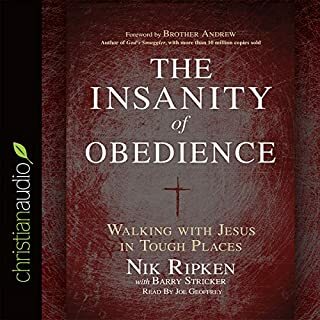 And it's for leaders who need the flickering wick of their vocation fanned into flame again with a focus on the supremacy of God in all things." Required reading for every believer! Would you listen to Let the Nations Be Glad again? Why? Yes, I would listen to it again, in fact I have gone through certain portions of it a few times! I don't read/listen to books, I study them, so it takes time to work through them. What other book might you compare Let the Nations Be Glad to and why? The Bible, but not saying this book is equal to Holy Scripture, but that it lines up with it. The Bible is the final rule of authority! Have you listened to any of Raymond Todd’s other performances before? How does this one compare? 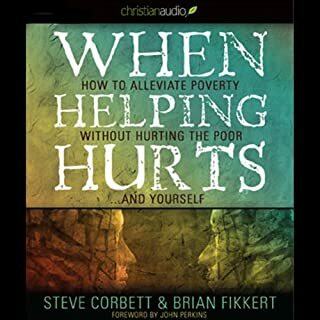 This book is on Christian Evangelical Missions, but first it's a book about the Glory of God. 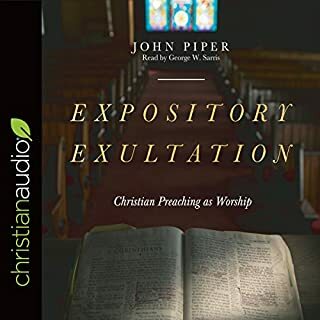 Piper sets a stage for his reader to keep "first things first" which is God's majestic glory and, His sovereignty over all of life, including missions. In fact, God is most concerned about His own glory! 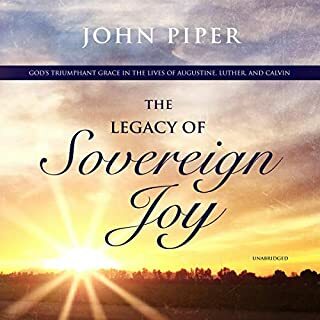 Piper says it this way, "The chief end of God is to glorify God and to enjoy himself forever." (using the first question of the Westminster Catechism). 1. The focus of worshipping a holy, mighty, powerful, just, glorious, merciful, loving God! 2. The necessity and the power of prayer! We so underestimate prayer in all of life and Piper nails it here! 3. The purpose, joy, and worth of suffering for the sake of Christ.. I went through this section a number of times. 4. The section on hell was important since we live in an age where this doctrine is falling by the way side. People don't read and know their Bibles and John Piper clarifies, Biblically this doctrine. 5. The significance of Jesus' work for the salvation of all who believe in Him! What a chapter!! This was a painfully dry recitation of one thesis in a research-paper style book that seemed heavier on the references than the supported statements. I’m so glad it’s over I can’t even spend time articulating my rebuttal to the thesis itself, except to say that to love God and one another is the first mission of the Church. This was likely my last Piper book.